The Northern Laramie Range Alliance has ridden their resistance to a 66 turbine wind farm for the mountains south of Glenrock to the Wyoming Supreme Court. Pioneer Wind Park is a two part project from Wasatch Wind out of Utah. 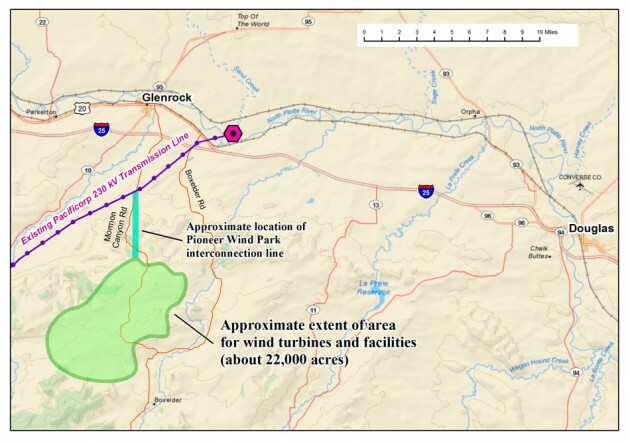 The company had obtained approvals and expected to begin construction this spring, but according to Wasatch Wind Spokesperson Michelle Stevens, they’ll wait for the litigation to play out. In the mean time, she says they want to let people know what’s going on. Appeals of decisions by the Converse County Commission and the Industrial Siting Council approving the projects now sit with the Wyoming Supreme Court. The Northern Laramie Range Alliance is a group of area landowners who oppose the wind projects out of concern for property devaluation and loss of view shed, amongst other concerns.